HomeMiss Julie’s Students Raise $270 for the Elephants! Miss Julie’s Students Raise $270 for the Elephants! My young piano students perform today in their Annual Spring Recital at 3 pm at the First Universalist Church of Essex. Click here for directions (it’s handicapped accessible). The recital is free and open to the public, all are welcome to attend! My students will play pieces by Stravinsky and Bartók (natch! ), and also Tchaikovsky, Saint-Saëns, Mozart, Bach, Haydn, Mussorgsky, and of course Beethoven!, as well as current popular and traditional music. My piano kids practiced minutes to earn money from sponsors to foster baby elephants orphaned by the illegal poaching trade for ivory in Kenya. Visit the David Sheldrick Wildlife Trust on Facebook for more info. Piano practice for the elephants contest of piano instructor Penny Lazarus. 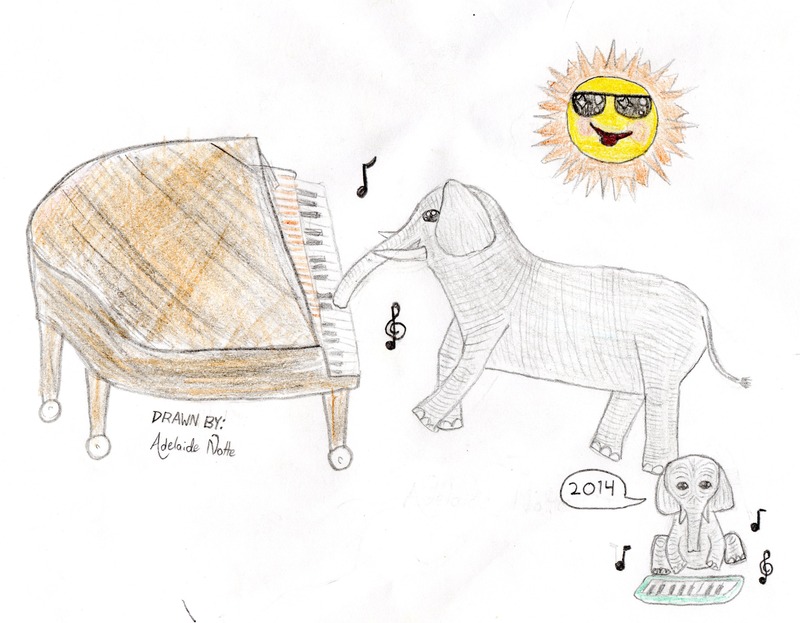 ← Miss Julie’s Piano Students Raise Over $250 for the Elephants!